Take in the sights of Queen Charlotte Sound and visit Ship Cove on a morning boat tour from Picton. The 3.5-hour journey follows a network of waterways as your captain narrates the highlights of the Marlborough Sounds. During free time while anchored at Ship Cove, see Maori wood carvings and a Captain Cook memorial, and explore the sheltered beach. Be on the lookout for marine life and other natural features of this breathtaking region while you sip complimentary tea and coffee on board. 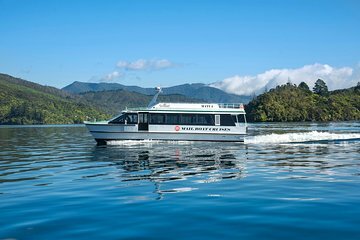 Explore the magnificent waterways of the Marlborough Sounds on an afternoon boat tour, departing from the Picton waterfront. After your boat captain welcomes you aboard, set off on your 3.5-hour Queen Charlotte Sound cruise, which includes a 30-minute stop in Ship Cove. Warm up with tea and coffee, and listen to live commentary on regional historical and natural landmarks. Keep an eye out for marine life such as little blue penguins and Hector’s dolphins — considered the rarest marine dolphin in the world. After about an hour’s journey, your boat drops anchor at Ship Cove where Captain Cook’s ship, the Endeavor, stopped for supplies in the late 1700s. Set foot on the trails past informative displays to a sheltered beach, and check out the Maori statues and monument to Cook. At the appointed time, you’ll continue by boat to Endeavor Inlet en route to Picton, arriving at the waterfront where your tour ends. We had a superb trip on the 09.00 to 12.30 Marlborough Sounds Cruise with a very enlightening and interesting live commentary on one of the family owned and run Beachcomber Cruise boats. Setting off from Picton, we went up through Queen Charlotte Sound and had a fabulous experience of seeing a group of dolphins following our boat leaping into the air as they playfully kept up with us. Seeing them enjoying being alongside our boat in their natural habitat without having been taught to do so was pure magic which will stay in our memory for a long time. We also saw a seal sunbathing on a rock before visiting Ship Cove where we spent about 30 minutes giving us time to reflect on the historical landing by Captain James Cook in 1770. Its a lovely spot no wonder Captain Cook returned here another four times between 1770 and 1777. The Maori wood carvings and the Captain Cook memorial are fascinating and we saw a flightless Waka bird. On our return to Picton we also made a drop off/ pick up at Punga Cove Resort and Furneaux Lodge. The whole experience was brilliant and the boat had complimentary coffee and tea on board to which we could help ourselves. The entire trip, which we booked via Viator before leaving the UK, was a pure joy and we have no hesitation in recommending Beachcomber Cruises. Had a great time going around to various stops dropping and picking up people out on a trek. The weather was cold and miserable. The longer stop at Cook's Cove made us chose the morning versus the afternoon tour. It was a pretty beach. A perfect day, tasting beautiful wines with an amazing hoast Dean. Nice tour of the sound on a good boat. The boat stopped many times to transport luggage and made the trip at least an hour longer than scheduled. Shore crew were friendly as was the captain - he was the only crew on the boat. Excellent way to visit the small coves and travel around the Sound. The boat has refreshments and our Captain gave a good commentary. We had the full trip which included a stop at the cove where Captain Cook first anchored Endeavor. This was a lovely surprise and we saw the memorial . We had fine weather so sat on the upper deck and enjoyed the breeze and sunshine. A pretty cruise tour withGreat tour. Our guide was fantastic and took us to beautiful spots all around the harbour while explaining everything in great detail. Got to see a lot of beautiful animals! Wonderful trip on Marlborough Sound ,interesting, well informed commentary. Excellent vessel with tea and coffee stop at Ships Cove where Captain Cook landed. Stops also at various lodges on the Queen Charlotte walking track. Spectacular, breathtaking scenery, interesting commentary. We'd do this again and again if we could. Spectacular views everywhere you look. 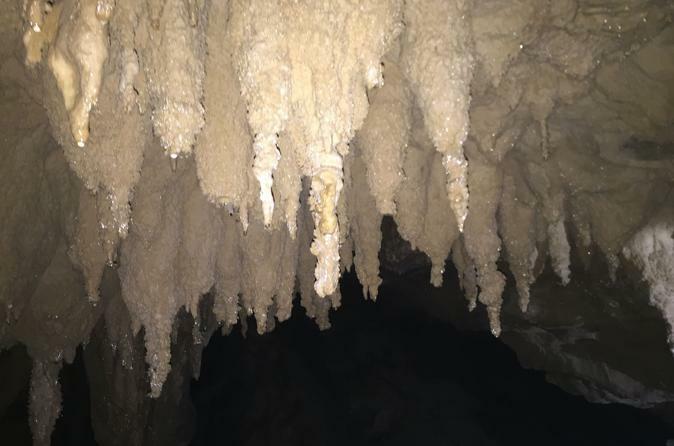 The trip was good, scenery great but the commentary was lacking. The boat was in good order, comfortable and roomy. The crew need more direction on providing commentary.